Want to try Shakeology? Looking for an affordable way to jump start your nutrition? This flexible kit can be used as a trial period, or as a 5 Day Jump Start. Your choice of Chocolate, GreenBerry or a Combination of both. Includes Free recipe card. Ready to feel the impact Shakeology could make in your health? A 10 Day Kit may be what you’re looking for. In 10 short days you’ll start to Lose Weight, Feel Energized, Improve Digestion & Regularity, and lower your Cholesterol. Includes Free Recipe Card and Shakeology Tri-Fold. 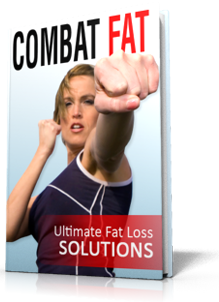 Need to jump start your weight loss? Need to start with a clean slate? A cleanse may be for you. 3 Shakes per day for 3 days. One evening meal which consists of a large Salad with Lean Protein. You’ll feel, look and be lighter in 3 short days. Includes Detailed Instructions, Shakeology Recipe Card, Tri-Fold and 9 Premium Green Team Bags. Want the best pricing, FREE Shipping and 2 Free Gifts? Then buying 30 serving Bags of Shakeology is the way to go. Perfect for those who want the best cost / serving. I used Shakeology and P90X for 90 days and lowered my Cholesterol by 92 pts!!! Includes: Recipe Calendar, Shakeology Book 1, Shakeology Workout DVD’s, and a Free Shaker Cup in your 2nd Month.